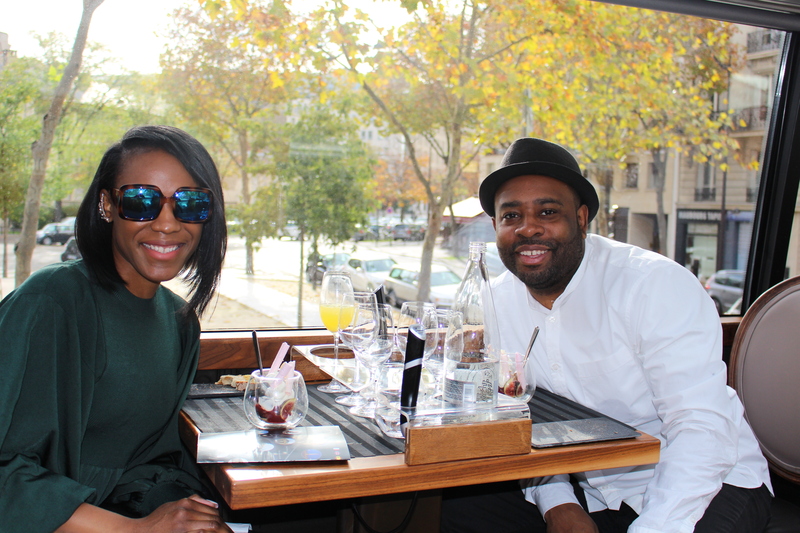 Prior to our trip to Paris last October there were several things that excited me about the trip. Of course the usual suspects The Eiffel Tower, Louv’re Museum, Notre Dame Cathedral, Opera Garnier and so on, but the thing that was high on my list of activities was a bus tour. Yes, a bus tour! But this is not just your typical old bus tour that over charges you to see the cities most visited and historical sites, this is a special kind of tour, one that is unique to many. This bus is the tour of all tours and the name of it is BUSTRONOME! 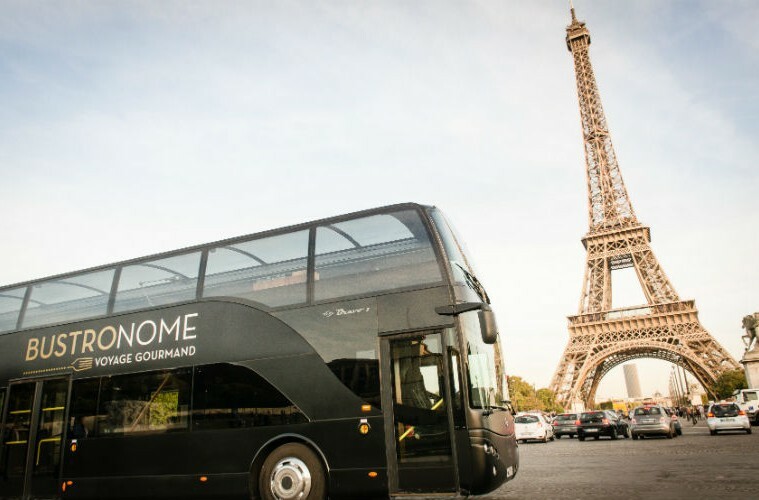 The BUSTRONOME is a high-end double decker bus with windows and a glass roof that provides a 2hr 15min trek through the heart of downtown Paris. Providing a wonderfully navigated audio tour along the way, it is the perfect tour for any season. I know that sounds ordinary but that’s not even the best part about it. What makes this luxury bus so special is what’s included on the trip……food! And not just any boring prepackaged sandwiches with chips and maybe a bottled water, but a full 4-6 course dining EXPERIENCE of the best French Gastronomy. 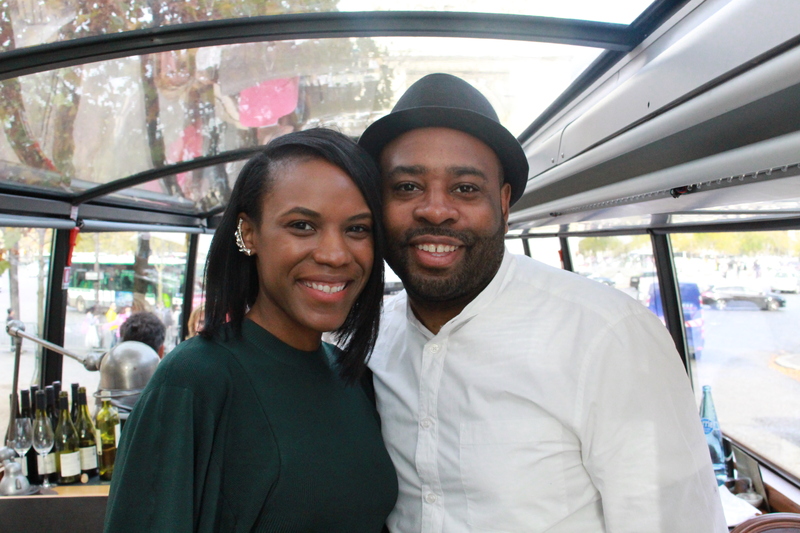 When looking for unique things to do while in Paris, my wife comes across the BUSTRONOME and immediately says we are definitely doing this! This is something that is really unique and would be a great experience. So she showed me the website and I was immediately in, the only thing that deterred me at first glance was the price, ($70USD/pp), but after looking at the pictures of the food, watching the video on the website, and looking over the menu I was pumped, and it was well worth it in the end. We booked our tour for lunch which was perfect because we would be able to see everything in the light and not miss out on anything. The weather was perfect, clear skies, sunny and a little cold but not that bad. Stepping on the bus we were greeted by the chef and the host/server which took our jackets and escorted us to our seats on the upper deck. To my surprise the bus could hold quite a few people comfortably with four tops, and 2 tops making up the layout. 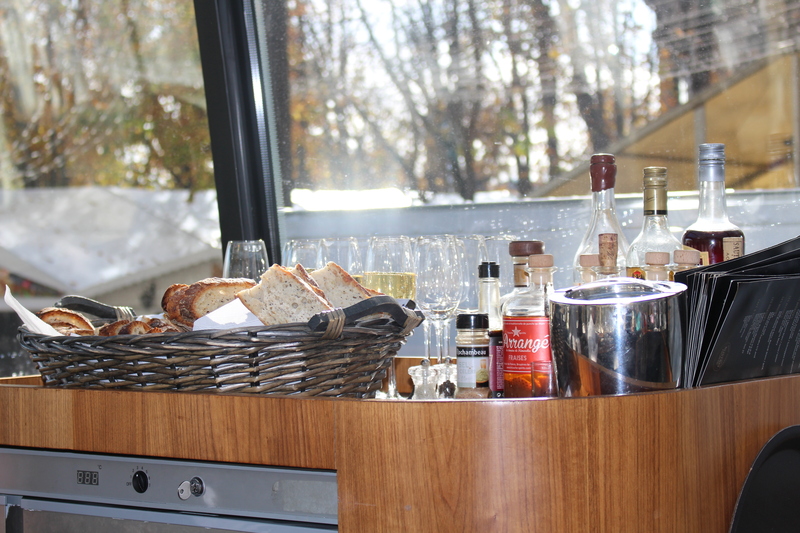 As you sit the host provides you with water and wine if you purchased a wine pairing with your package as well as bread which I always love! The menu of the entire service is laid out already as you sit, complete with your flatware for each course. 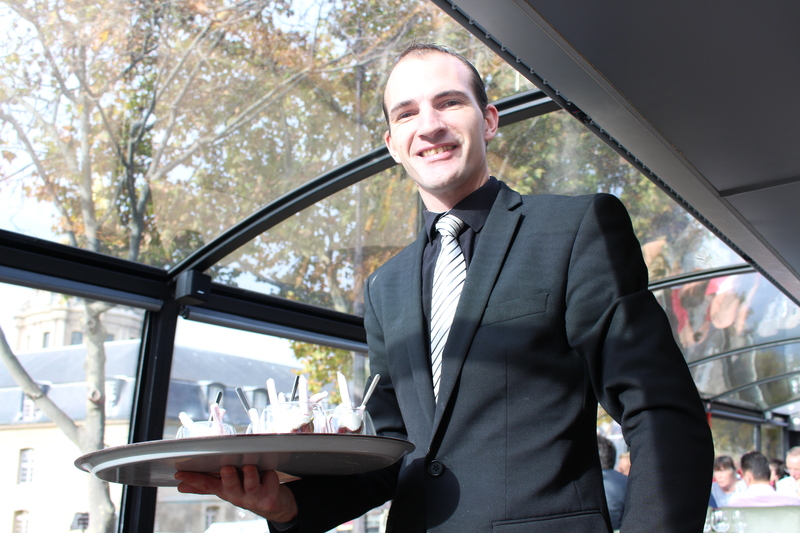 For lunch, the service is typically a four course menu with 2 starter items, an entree and a dessert. Each and every course carefully prepared by the chef and items came out in a very timely manner so you were never rushed or never waiting for the next course to come out. You can take a look for yourselves on the quality of food that was provided and believe me each item tasted EVEN BETTER than they look in our photos. 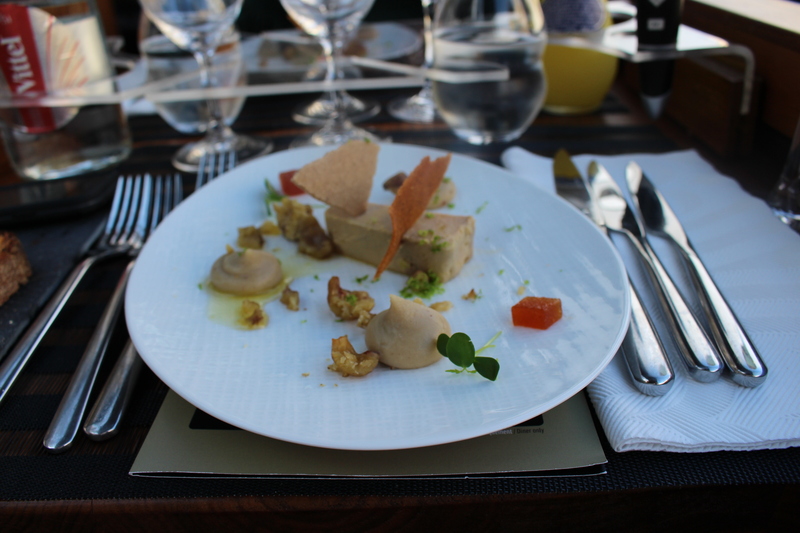 The fois gras was an excellent way to kick off the service. Never having been a huge fan of it before, my pallet has either grown on me or it was that good! Needless to say I enjoyed every bite of mine and a few bites of my wife’s as well. By far my favorite dish of the entire service! 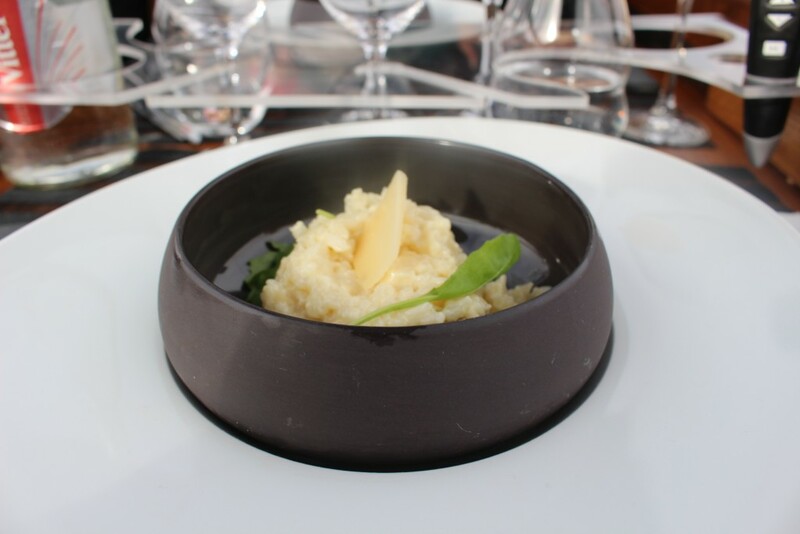 I am a cheese fanatic and a risotto fan and this dish was incredible. Risotto as you know is hit or miss, you have to prepare it perfectly for it to be great and job well done on this beauty. I definitely enjoyed this course. 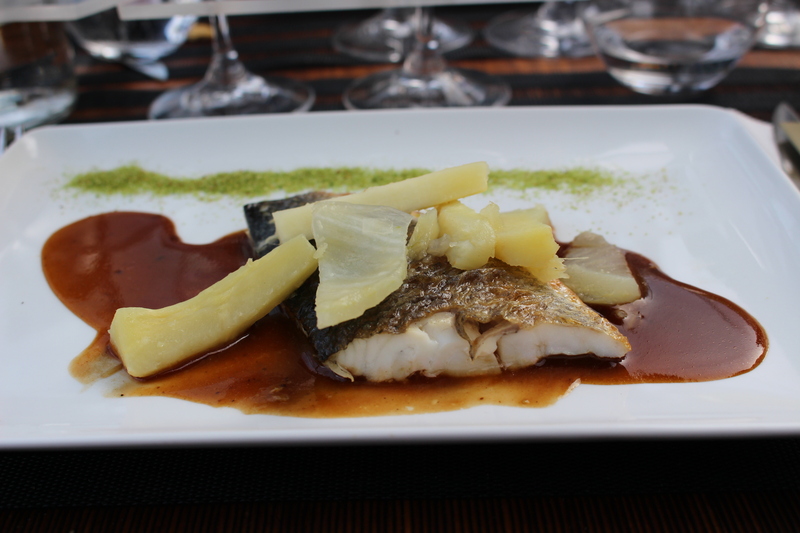 The sea bass was great as well. Wonderfully seasoned and coupled with the fennel and the black sauce every bite was enjoyable. Now when I looked at the dessert choice it seemed quite interesting but I’m always game to try something I haven’t had before. HOMERUN!! I never imagined enjoying a licorice ice cream before but this was a pleasant surprise. 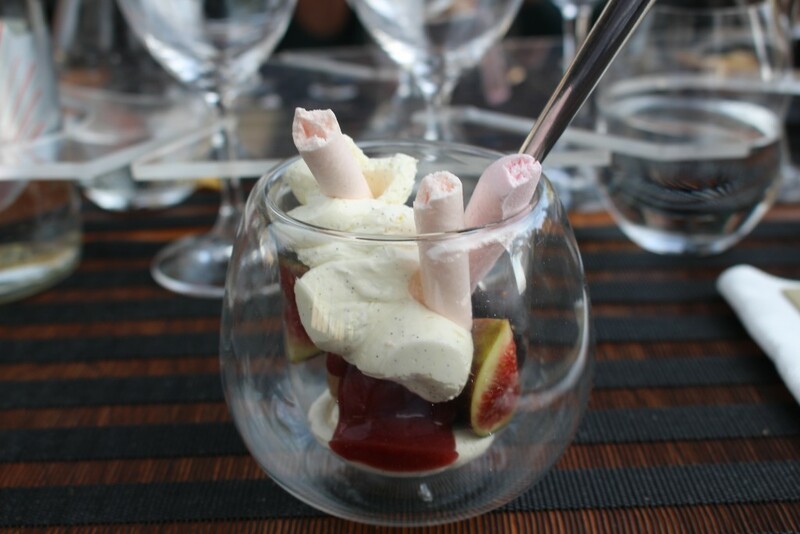 The dessert was light, delicious and super refreshing. It wasn’t too much at the end of the meal for me to be full and it was just enough sweets to quench my taste buds. Perfect way to end the meal. Amazing!! I cant wait to go to Paris. I will definitely add this tour to my list of things to do. Loved this article. Thanks for you comment and we are very glad you liked the article. 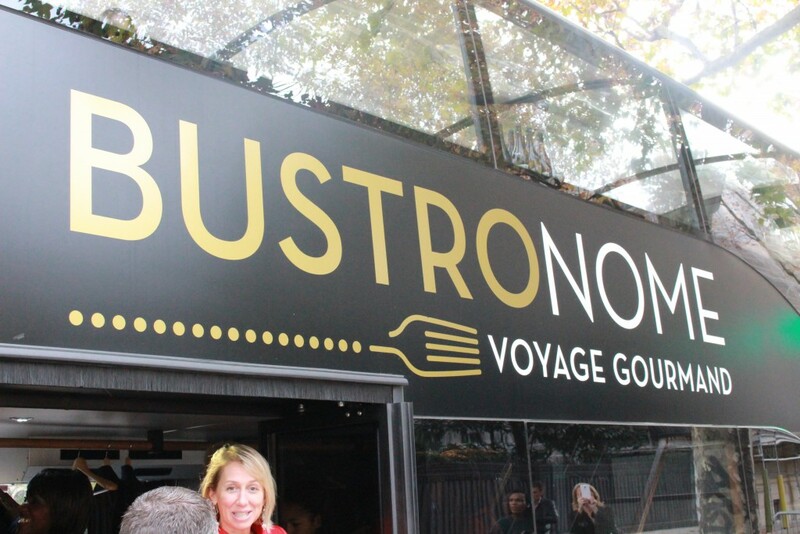 The Bustronome should definitely be on anyone’s list when they go to Paris. Great experience.